On January 4 2016 the Ministry of Justice launched its Support for Separating Families campaign. Building on last year’s campaign, which focused exclusively on mediation, the 2016 initiative aims to raise public awareness of the different options available when couples are splitting up or divorcing: family mediation, Parenting Plans and Separating Parents Information Programmes. As ever, the Ministry of Justice is committed to keeping the separation process from going to court wherever possible. 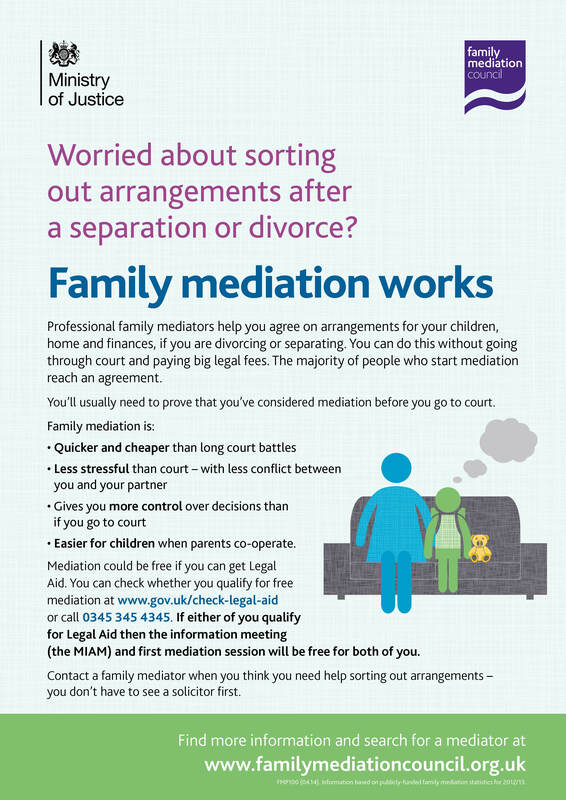 Support for Separating Families seeks to support family mediation practitioners and to raise further awareness of the key part the profession now plays in separation and divorce. After substantial research, and in consultation with stakeholders, the MOJ is convinced that what the public needs is information and practical guidance and to be reassured that the needs of the child are of paramount concern to all of those involved in the separation process. 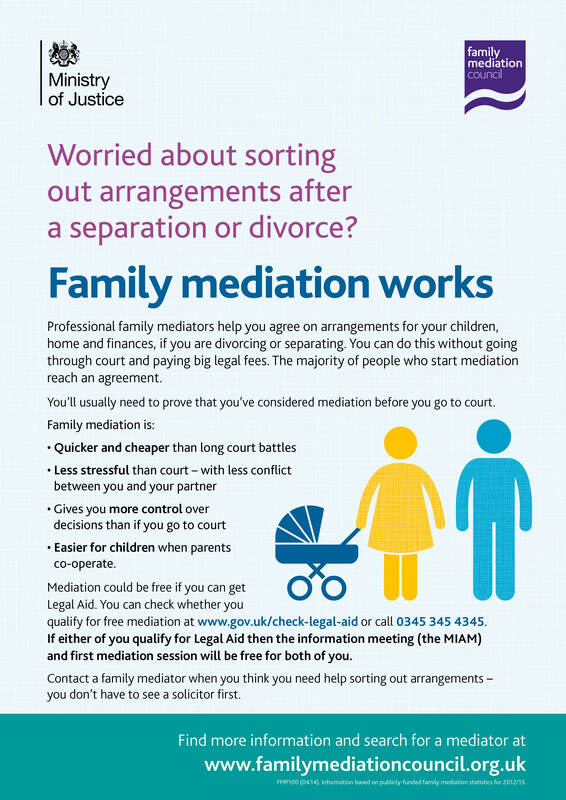 After consultation with the FMC and its member organisations and other stakeholders, the MOJ has produced a range of promotional material and resources for family mediators to use in their own practices. These include leaflets, posters, website and email banners and marketing tips. 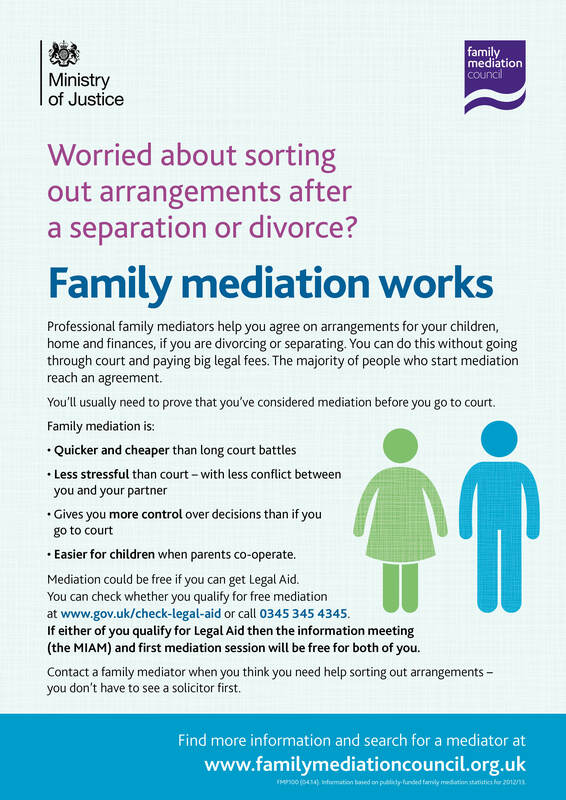 The leaflets, in particular, provide an at-a-glance guide to what family mediation entails, sorting out living arrangements for children, child maintenance payments, finances and debts. They explain MIAMs, what happens if a client wants to go to court and who pays for mediation. 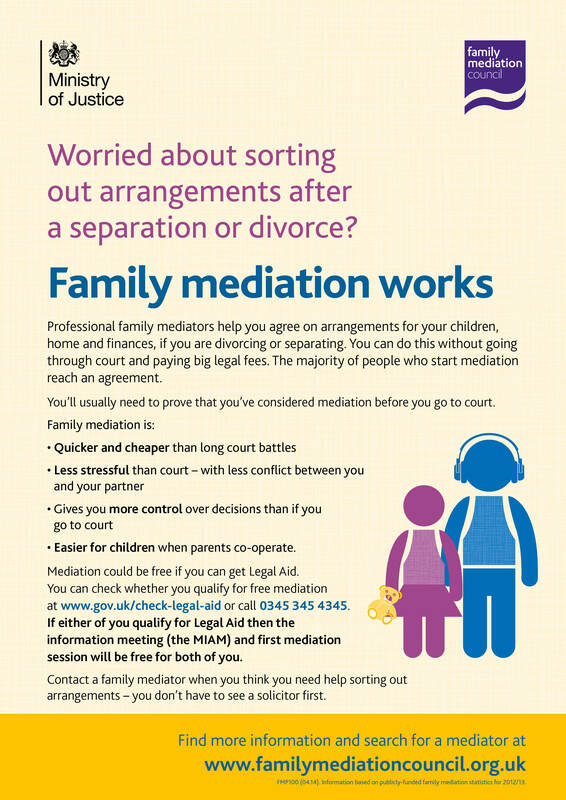 Between January and March 2015 the Ministry of Justice ran a campaign entitled First Stop: Family Mediation. Its aim was to improve public awareness and understanding of the benefits of family mediation, the legal requirements to consider it before court, and the availability of legal aid for those who are eligible. To help the mediators promote what they do, the Ministry of Justice (MoJ) , with the FMC, produced a video, leaflets and posters for you, and other organisations, to use. 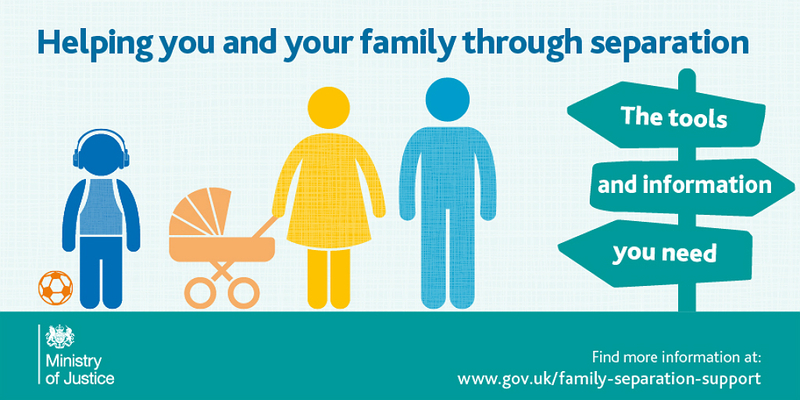 The MoJ shared these resources with family courts around the country. All materials are available to download only. A marketing and promotion handbook for mediators has also been produced for you to use to help promote your mediation services. You can download the pdf of the marketing and promotion handbook here.